Welcome to 144 Chipmunk Street, Unit 102! Your ideal lakeside condo in a lively Kings Beach community. This is perfect location for families looking for a maintenance free Tahoe lifestyle. Stunning lake views from this beautifully remodeled 3 bedroom, 2.5 bath Brockway Shores condo brings sunshine from early morning into the evening. Tastefully updated with warm-wooded accents, hardwood flooring and an open layout that flows from the functional kitchen to the dining area and living room. Cozy up by the inviting stone fireplace or enjoy watching the sunsets on the deck overlooking Lake Tahoe. The lower level offers two bedrooms and two baths. The spacious master bedroom features a large walk-in closet and a second walk-out deck with stairs leading you the park-like lawns, tall trees, and pier with big lake views. Plenty of room in the bunk bedroom with three bunk beds and a third bedroom on the main floor with half-bath. Ample storage space for toys. 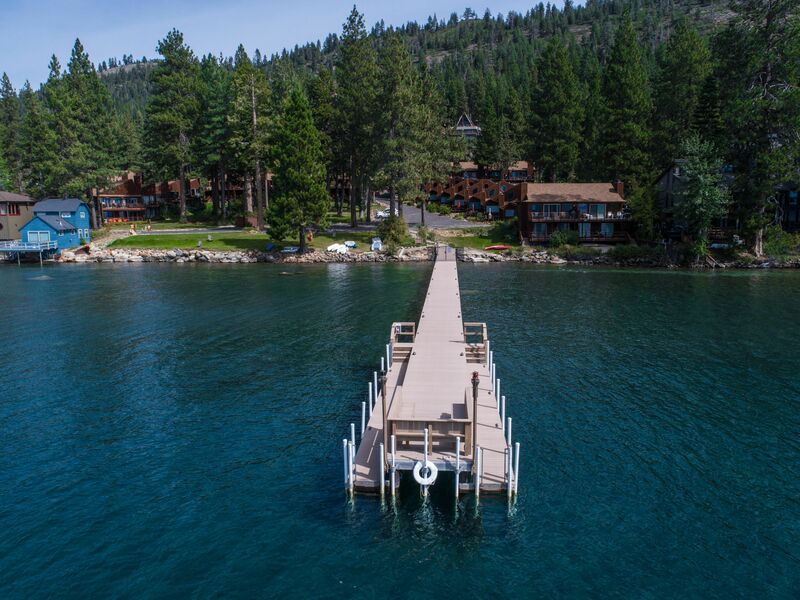 Enjoy a taste of Tahoe lakefront living with private HOA pier, signature sandy beach, and buoys in this spectacular lakeside set-up. Close to all local activities, downtown, shops, restaurants, hiking, and North Shore’s ski resorts.